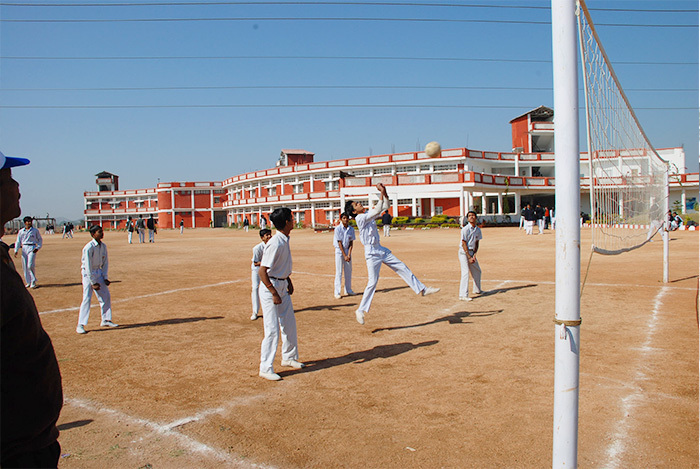 At Modern Group of Schools, Sports training is imparted to the students in order to inculcate in them a feeling of sportsman spirit, team spirit, self discipline and a spirit of general well-being. 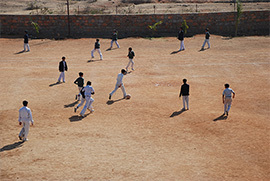 Every student participates in a Sports Activity of his/her choice. 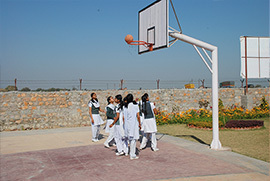 A well defined syllabus for each sport of their choice enables them to pursue with interest, the game of their liking. A competitive spirit coupled with self discipline and sound health, forms the motto of our Sports Activities. 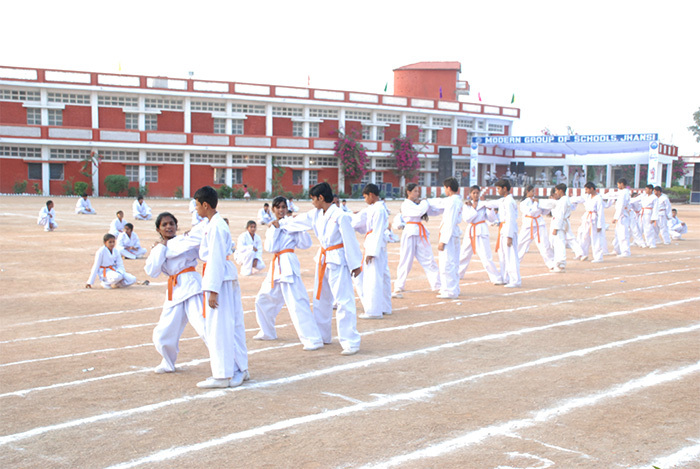 Inter class, Inter house and Inter school competitions are organized on regular basis to inculcate a healthy competitive spirit. 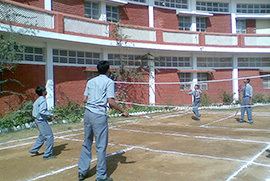 Sports events like athletics, gymnastics, volleyball, basketball, table tennis, taekwondo, gymnasium tactics and cricket form an integral part of the sports curriculum of the school. Inter house championships help to generate camaraderie between students, a sense of competitiveness, brotherhood, discipline, positive attitude and very importantly, the fact that losing is as significant as winning. 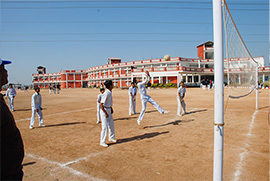 Inter school events are powerful instruments of exposure for students at individual and team level in different stages. 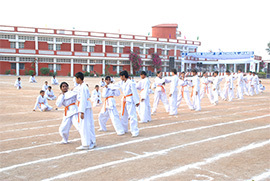 Many Modernites participate in championships on National and even International level, the exposure to which enables them to enhance their skills and confidence. 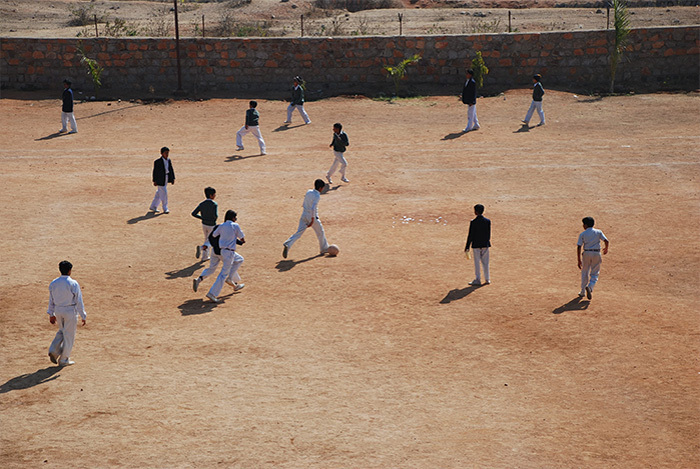 Outstanding students get a chance by selection from these tournaments to represent ‘India’ in the National Team at an International Tournament. The school is constantly committed to providing excellent opportunities for sports.